Insurance Regulatory and Development Authority (IRDA) is an autonomous apex statutory body which regulates and develops the insurance industry in India. It serves as an authority to protect the interests of holders of insurance policies, to regulate, promote and ensure orderly growth of the insurance industry. Considering the need for providing a 'needs-based' approach while advising clients, IRDA has not simply encouraged agents to memorize facts and figures but also has tested their understanding of learning, and ability to apply it in a wide range of practical real-life situations. 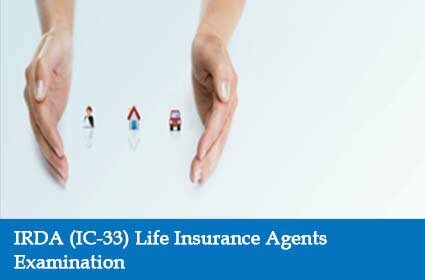 Intelivisto, having felt the need and dearth of skilled life advisors in the life insurance market, has developed comprehensive online question bank for IRDA IC-33 examination in online tests form. This online question bank comes with self assessment and analysis tools. With the help of these analysis tools, aspirants can analyze their preparation and understanding of the subject-matter at very minute level and can further strategize their strategy to pass the requisite certification examination successfully.